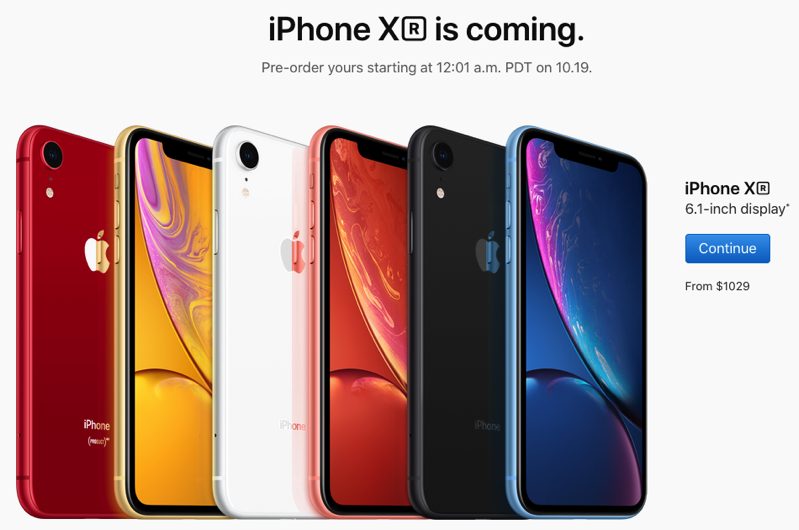 iPhone XR Pre-Orders in Canada Start Friday, Oct. 19 at 12:01AM PDT: You Buying? Apple has reminded customers it will be kicking off its iPhone XR pre-orders in Canada on Friday, October 19 at 12:01AM PDT/3:01AM EDT. This means on Thursday night, Canadians will need to stay up late or set an alarm to wake up early Friday morning, to place their iPhone XR pre-orders. The iPhone XR features a 6.1-inch ‘Liquid Retina’ display and is powered by Apple’s latest A12 Bionic chip, while touting battery life “up to an hour and a half longer than iPhone 8 Plus.” The phone also comes powered by Face ID. The phone’s single rear wide-angle lens camera will also feature Smart HDR, a 30 percent larger image sensor, and the ability to take Portrait mode and Portrait Lighting photos. iPhone XR is available in black, white, blue, yellow, coral and (PRODUCT)RED, and starts at $1029 CAD for 64GB, $1099 for 128GB and $1239 for 256GB models. Apple will also sell a clear case for iPhone XR, priced at $55 CAD (you’re probably better off buying a cheaper clear case from Amazon for $16 like this one).